After upgrading iPhone, you are about to restore iTunes backup file and get back contacts, text messages, photos, etc from the previous version. Unfortunately, iTunes continuously ask you to enter password although you never set any password for that. Isn’t frustrated? When you come across that issue, don’t be panic. 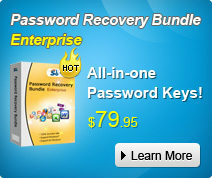 There are methods to help you find the password and restore files completely. The easiest way to remove the password is restoring your mobile phone to factory setting. You are surely can get access into iTunes again. But you will lose all backup files including contacts, call history, text messages, notes, photos, etc. It is not a good choice for most users because those data are important for you. For Keychain Access.app is the program for Mac computer. so this method is good for Mac users. At the bottom of the dialogue box, click “Show password” and type in the administrative password for the computer. iTunes Backup Password Recovery is the smart yet useful password unlock program. It has three powerful password attack modes which can help you find long and complicated password no matter what case you forget it. Here you will know how to recoup lost password within three steps. Step 1. Download iTunes Backup Password Recovery and install it in Windows PC. This program can work on all Windows platform including the newest Windows 8, Windows 7(32/64 bit) and so on. Step 2. Click “Open” to import iTunes backup file. If you don’t have a backup file in your PC, please connect your iOS devices to PC to sync them with iTunes first. Step 3. Select one type of attack and then click “Start” to begin password attack. In general, this tool can help you retrieve password in a few minutes. Then you can enter your password to sync your data to the new version of iPhone, iPad or iPod Touch. Moreover, you can change the password to other easy-to-remember one or remove it completely. Thank you very much! I use one of the third method to recover my itunes password, it is really a good tool!